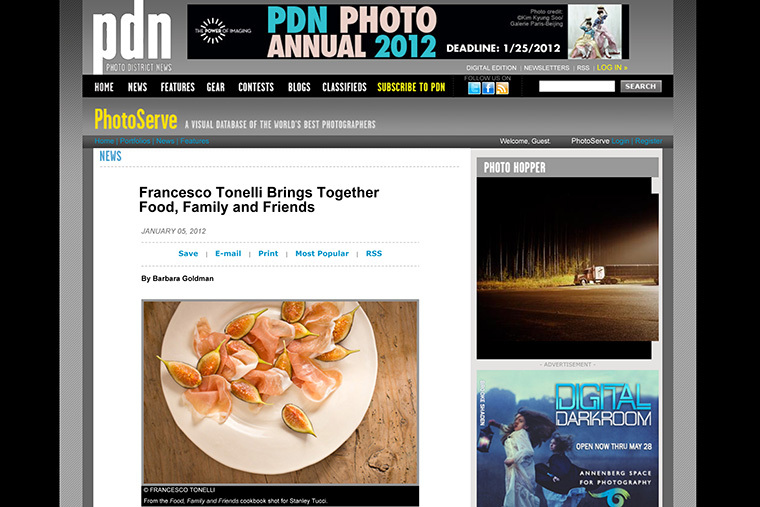 Master chef and food photographer and stylist Francesco Tonelli has been very busy on a lot of new projects. Below is an image from Food, Family and Friends,a cookbook he has been shooting for actor Stanley Tucci to be published at the end of the year. Tonelli did all photography and styling.